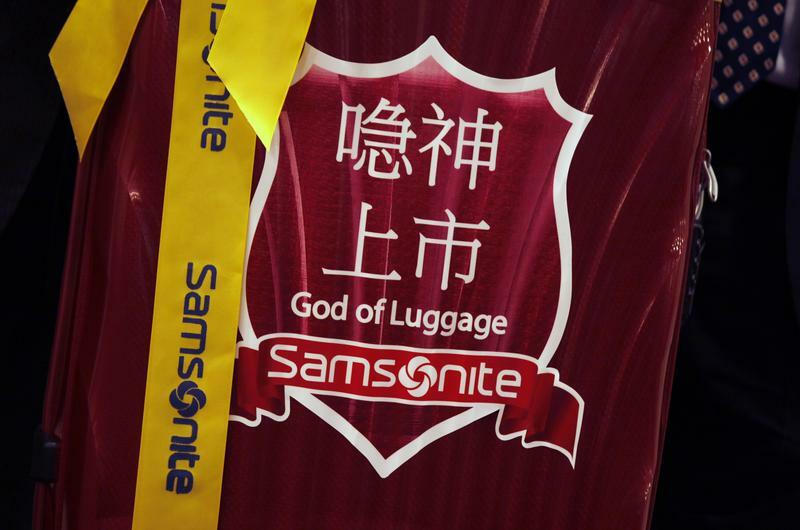 A Samsonite suitcase -- a souvenir for the Hong Kong Stock Exchange, is pictured during the trading debut of Samsonite International in Hong Kong June 16, 2011. Samsonite said on June 1 that Chief Executive Ramesh Tainwala had resigned for “personal reasons”, after hedge fund Blue Orca said he had falsely claimed to hold a doctoral degree. Chief Financial Officer Kyle Gendreau was promoted to CEO. The company said it had accurately disclosed Tainwala’s qualifications since floating its shares in 2011, but added that the board took the allegations seriously and believed his departure was “in the best interests” of Samsonite and its investors. The world’s largest luggage-maker said it had reviewed and rejected a series of other charges made by Blue Orca, including questions about purchase-price accounting; treatment of inventories; dealings with related parties; and auditing of an Indian unit. Samsonite did say, however, that the “carrying value of inventory at net realizable value” reported in its 2017 annual report was incorrect. The review was carried out by the board, CFO and general counsel, with help from external advisers. The company’s shares, which had been suspended, gained 8.7 percent by mid-morning on June 1, to HK$29.25. That is roughly 14 percent lower than their HK$34.05 closing price on May 23, the day before Blue Orca’s report was published.